This journey has been truly incredible. It started out as an experiment. I had once seen in a book how laying out your blocks on point or straight set or adding sashing could change the look and the size. So I decided to put the theory to test, and found a block in my magazine collection. And here we are: 3 months down, three entirely different looking quilts! 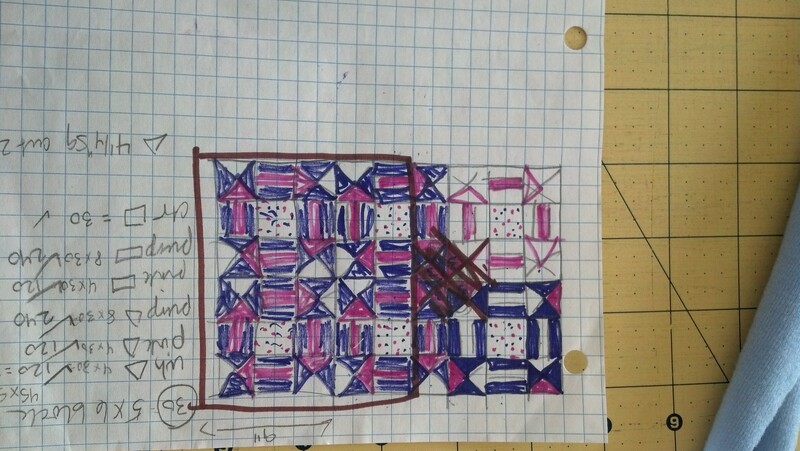 I am so excited to get the next month’s quilt done! By the end of the year I’ve decided I will also put together a guild speaking program and test it on my own local guild. What prompted me to do that last step was what felt like overwhelming attention I received about this at the last retreat I attended. 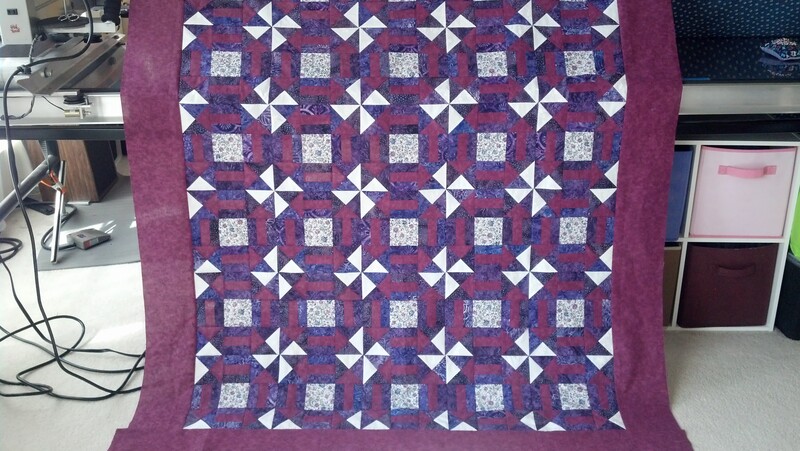 Many of the ladies were not only complimentary of the latest quilt top, but they thought the creative aspect of this project was a marvel, and one even suggested I teach a class on it. 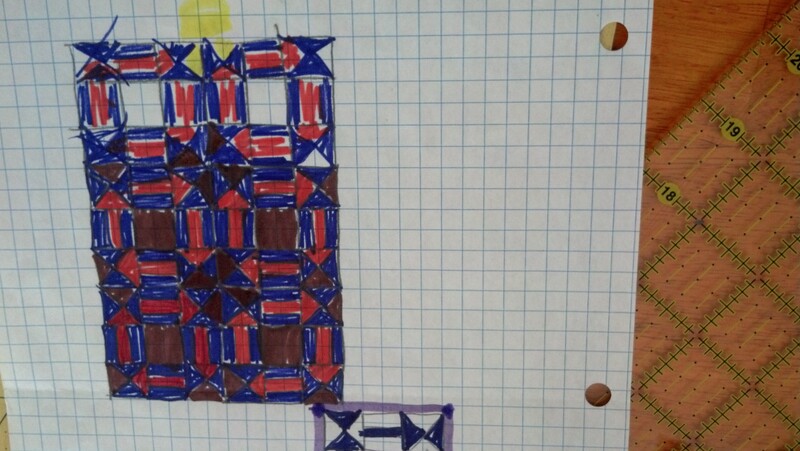 I was really flattered, but after thinking on it a bit, I realized that I do have a lot of quilt making clients or help people at the shop that don’t like to or know how to get out of the pattern box. 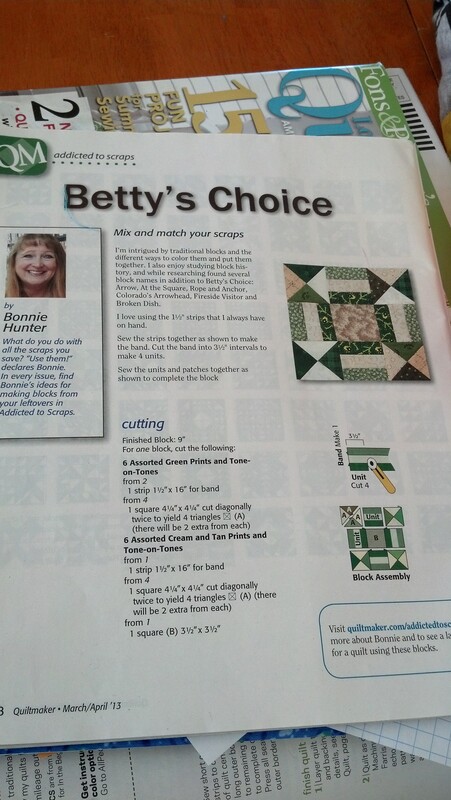 They follow what the pattern says, and either use a kit or a set of picked out fabrics that often matches the photo on the pattern and off they go. But what if the pattern isn’t quite big enough for the bed you want to put it on? What if the photo isn’t colors you prefer, or you only want to use two colors? What if you have an ENORMOUS amount of scraps you want to use up? Then what?? Folks, I’m here to help. Seriously, I have been there, and I still get into analysis paralysis from time to time when I get into an idea. And sometimes I have to take a step away and let it all marinate before I can dive in and really get to work. When I saw it, I knew what I wanted to do with it, but wasn’t sure I had enough of it. It’s actually pretty old, so I had to measure it before moving on. 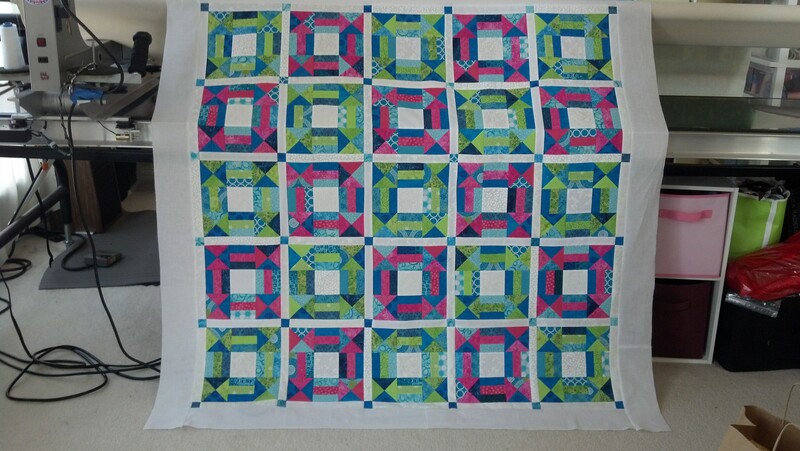 Fortunately I had enough to do 30 center blocks, but not enough for sashing. I started out focusing on the arrows, wanting them to turn out like last month but thinking I could make it different without the sashing. Notice how I changed half of the triangles from pink to white? 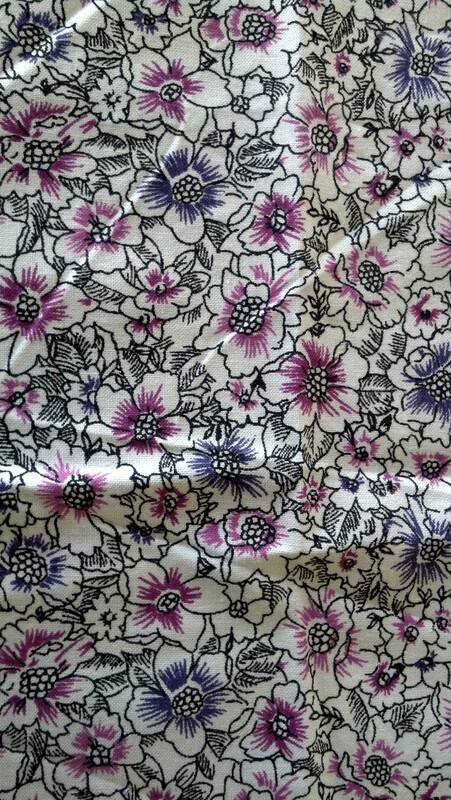 That made these pinwheels appear, which would not happen with the sashing. 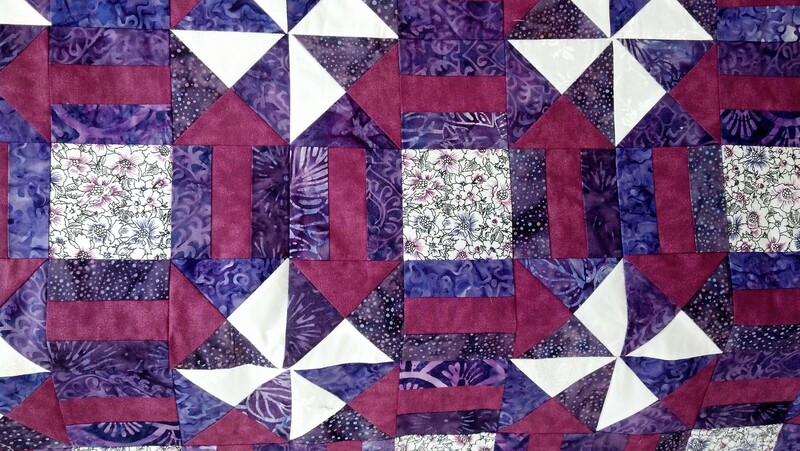 Loving how it would turn out, I cut white triangles from my stash of scraps, the eggplant from more scraps (I had a ton of that fabric at one point) and the purple and stuck it all in a bag to go on retreat with me. I brought a little extra just in case I didn’t count properly. While assembling it my first day away, I became a bit worried that the eggplant was too close of a pink to the purples, and that the arrows wouldn’t show up at all. 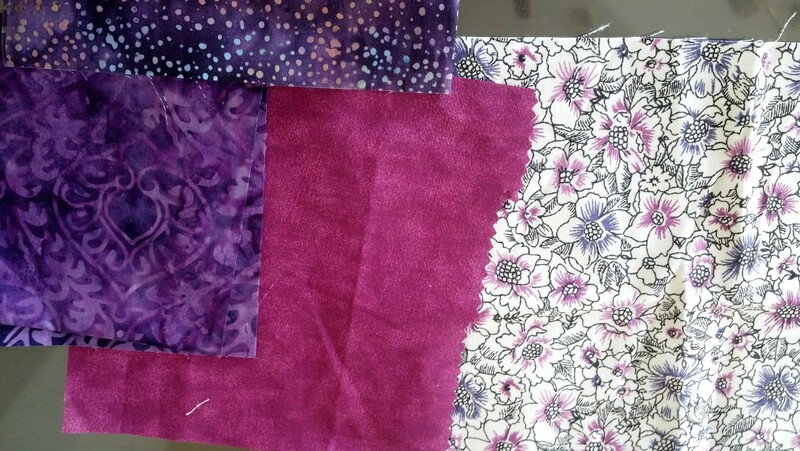 At that point I figured hey, this is an experiment anyway, and if it doesn’t turn out how I wanted, then it will be a lesson in choosing fabrics (I have always struggled with lights vs mediums vs darks). What happened really amazed me. It wasn’t evident until the top was assembled, but the arrows did show and more surprisingly, the pinwheels became the focus! I had to wait until I got home to put a border on it. 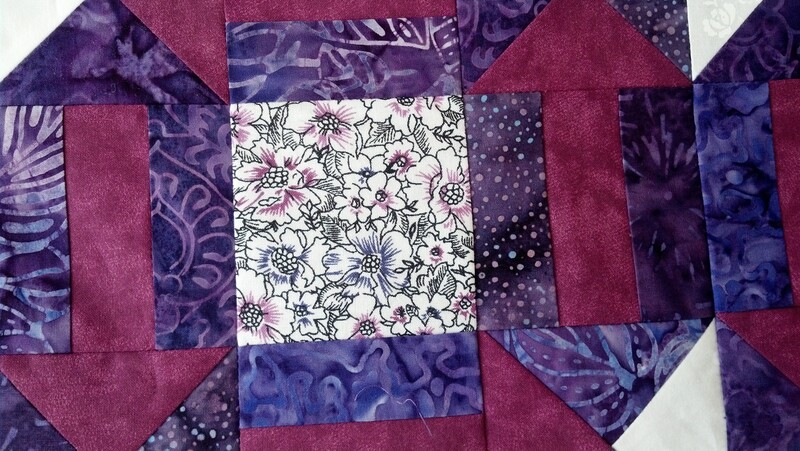 I thought about putting on a 1″ eggplant, then 1″ white and then 4″ eggplant border, but when I got home I was just excited and put on a 6″ eggplant border. This might be my favorite one yet. 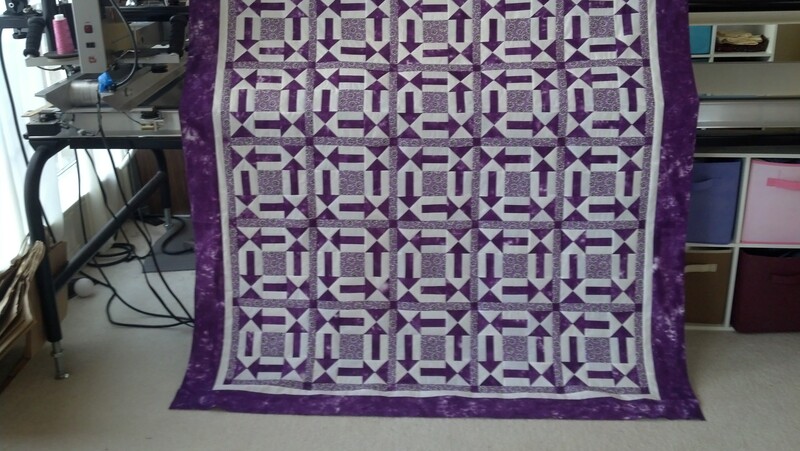 It truly amazes me how one block can become so many different quilts. 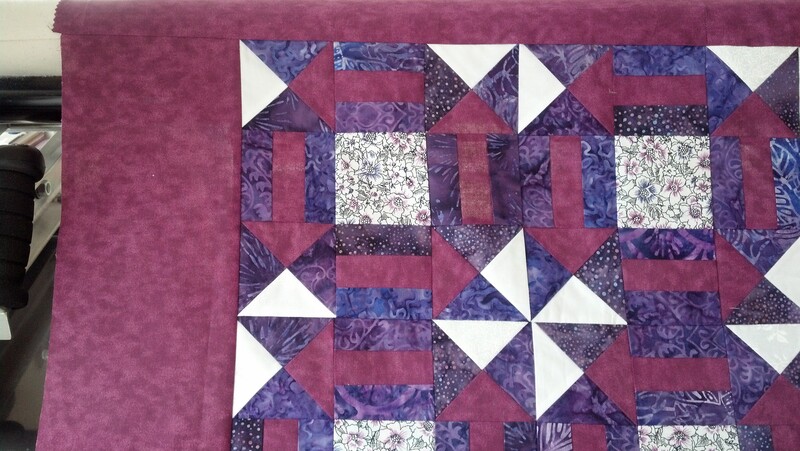 Not only was fabric choice an element in this difference, but the block layout, and so far, the addition or absence of sashing/cornerstones. One month I will put it on point and see what that does. I have other ideas as well. Fortunately, business is slow and April is here, so I will get started shortly on next months version!